You are here: Home / Foot Care Blog / Athlete's Foot / The Amazing Powers of Coconut Oil: A Cure For Athlete's Foot? The Amazing Powers of Coconut Oil: A Cure For Athlete's Foot? January 30, 2014 /0 Comments/in Athlete's Foot /by Jenn F.
Coconut oil is one of the latest natural remedies for athlete’s foot, touted in both holistic blogs and books. It promises to be a relatively inexpensive remedy for foot fungus — and one that does not pose any risk of adverse side effects like most over-the-counter medications. We look into this alleged athlete’s foot cure and give you additional advice on curing athlete’s foot naturally. 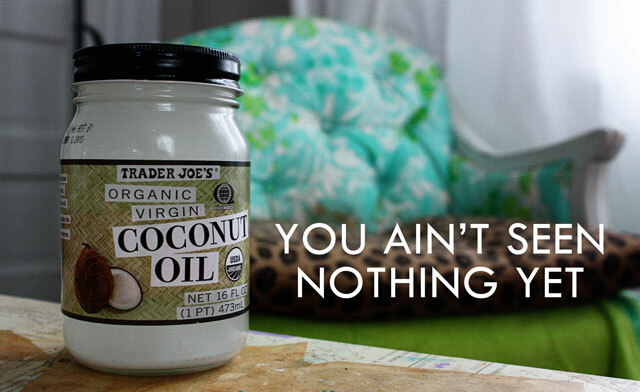 Coconut oil has many uses, in addition to being heralded as an “antibacterial / antifungal” agent. A blogger named Seth Roberts recalled his experience using coconut oil to treat athlete’s foot. A decade ago, he had used prescription antifungal medication (now offered over-the-counter) and found that the twice-a-day application didn’t work for him. How Does Coconut Oil Work To Kill Foot Fungus? A study conducted at the Department of Medical Microbiology & Parasitology in Nigeria in 2007 suggested that coconut oil may have antifungal properties. They found that coconut oil could kill Candida albicans, Candida glabrata, Candida tropicalis, Candida parapsilosis, Candida stellatoidea, and Candida krusei. Obviously, candida is a different type of fungus than tinea pedis, but it is worth noting that the anti-fungal properties of coconut oil have been tested in a lab setting. Other than that, much colloquial evidence suggests that coconut oil can kill foot fungus.The medium-chain fatty acids found abundantly in coconut oil are responsible for killing bacteria, viruses, fungi, and protozoa, according to authors Cynthia Holzapfel (Coconut Oil: For Health and Beauty) and Bruce Fife (The Coconut Oil Miracle). Backing this claim, a report in the journal of Applied and Environmental Microbiology states that medium-chain fatty acids inhibits the production of the micotoxin citrinin within a fungus. Citrinin is what enables the fungus to penetrate into the human skin, so it makes sense that coconut oil could feasibly prevent fungi from being absorbed into the body. According to Natural News, the presence of lauric acid in coconut oil is another key ingredient to killing fungus. “When it is present in the body, lauric acid is converted into monolaurin, a compound that is highly toxic to… microorganisms because of its ability to disrupt their lipid membranes and virtually destroy them,” author Aurora Geib concludes. These days, people are looking into natural cures for athlete’s foot, rather than investing in drug interventions. Don’t forget blogger Seth’s dire warning about re-c0ntaminating the feet with socks or shoes. We invented the SteriShoe UV shoe sanitizer as a natural way to kill pathogens in your footwear and prevent the recurrence of athlete’s foot. Just one 45-minute pass with our UVC light device is enough to kill up to 99.9% of the fungus and bacteria in your shoe. Best of all, it’s clinically proven!